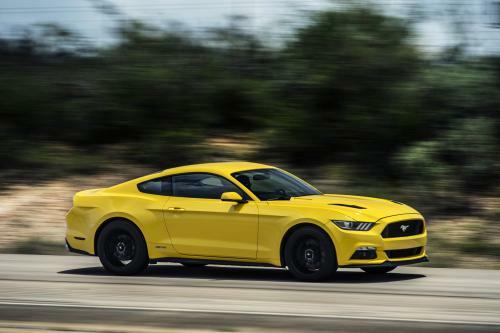 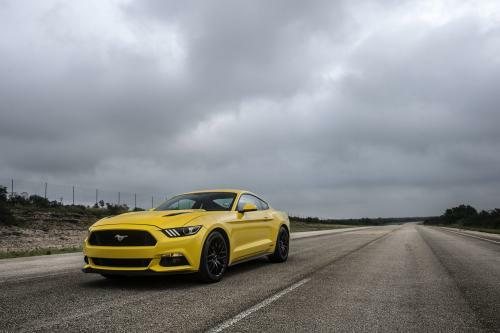 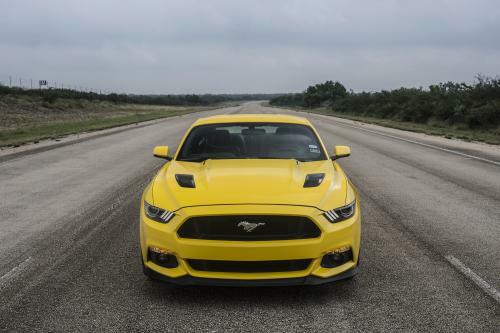 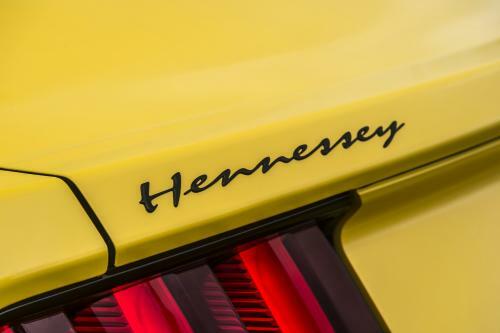 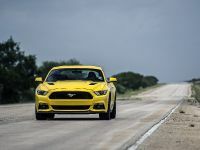 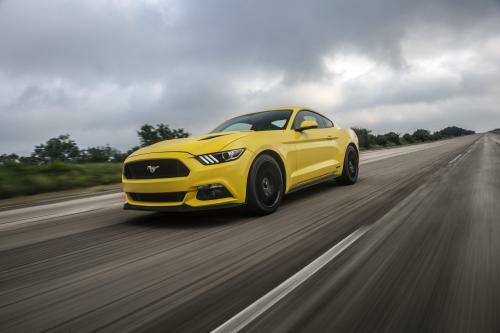 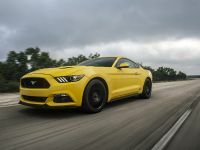 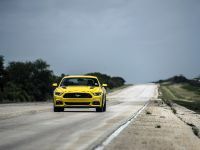 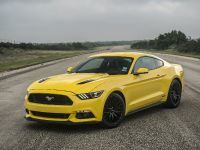 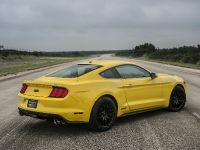 2015 Hennessey Ford Mustang GT has superpowers which gave it the capability of hitting the 207.9 mph. 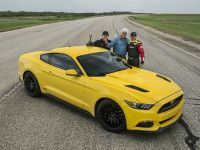 Jay Leno visited the Texas tuner for an upcoming TV series on CNBC to record the test. 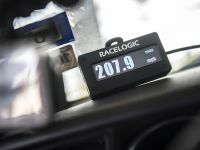 The pictures below are depicting the process of testing. 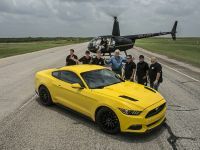 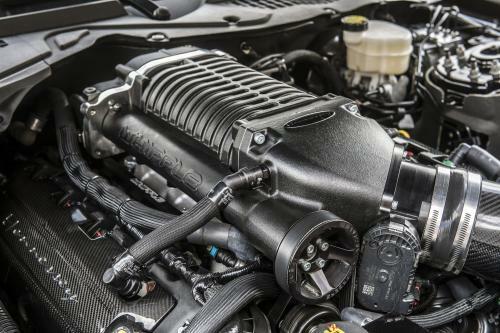 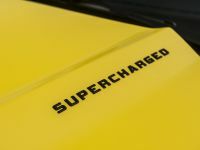 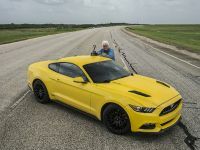 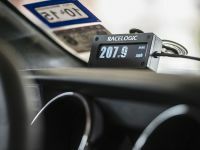 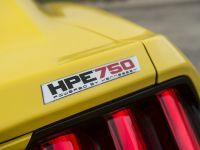 This Ford Mustang GT has been supercharged via 2.9 liter supercharger system and now has the capability of producing 774 hp at 7,300 rpm and 648 lb-ft of torque at 4,400 rpm. 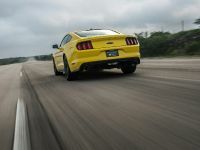 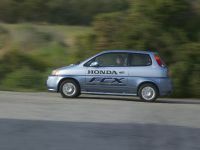 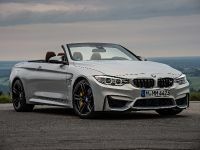 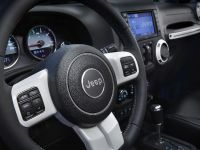 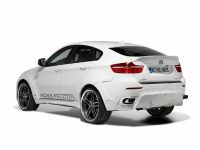 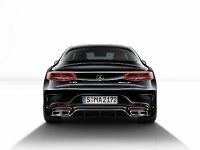 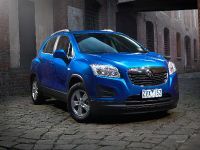 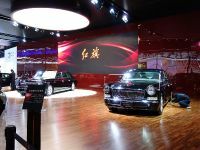 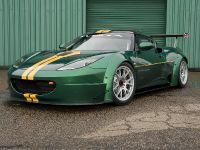 It can reach a 0-60 mph in 3.4 seconds and has a ¼ mile covered in 10.9 seconds.